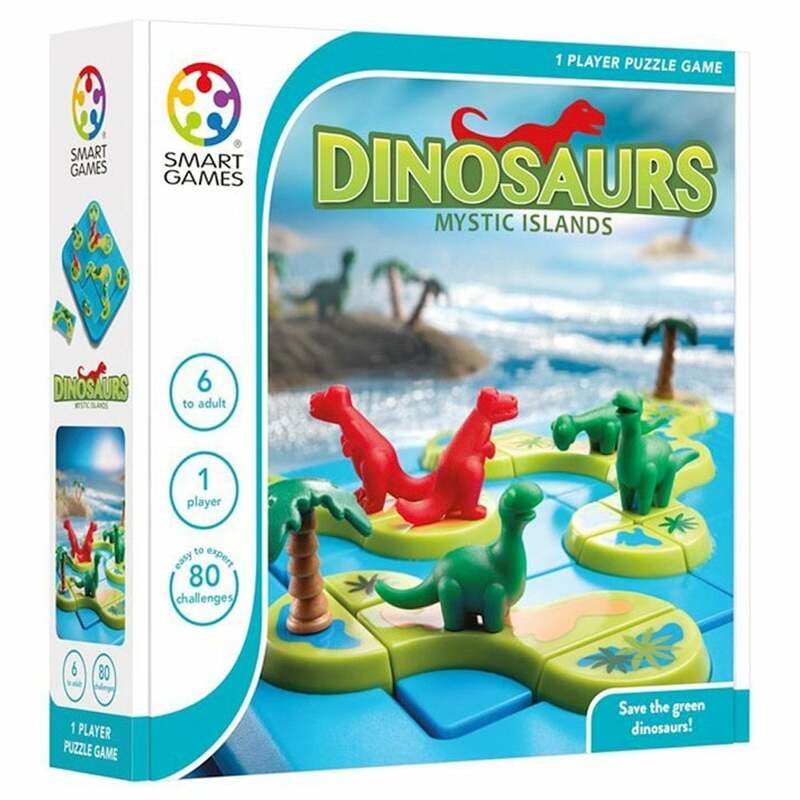 This is an exciting shape matching game that challenges you to separate the plant eating dinosaurs from the carnivores. Complete each of the 80 challenges by placing the islands as shown but make sure the three friendly dinosaurs are separated from their T-Rex counterparts! Contents: game board, 6 3D puzzle pieces, 1 booklet with 80 challenges.